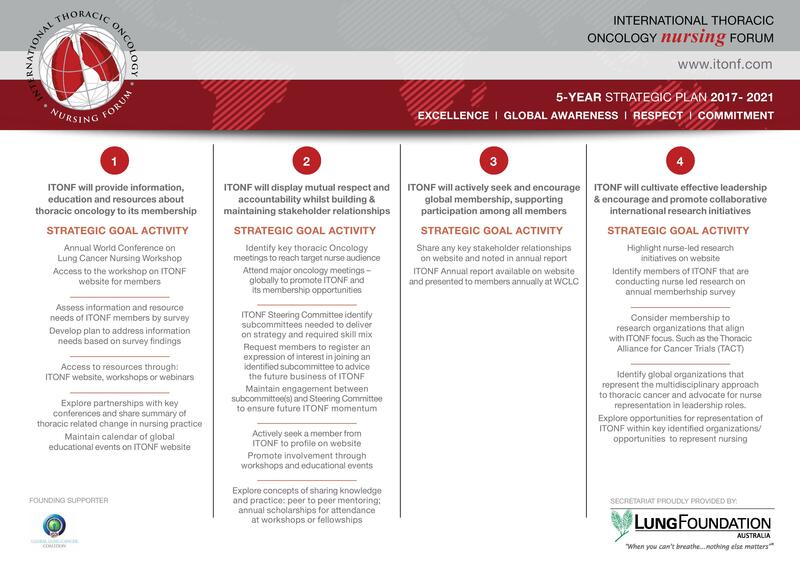 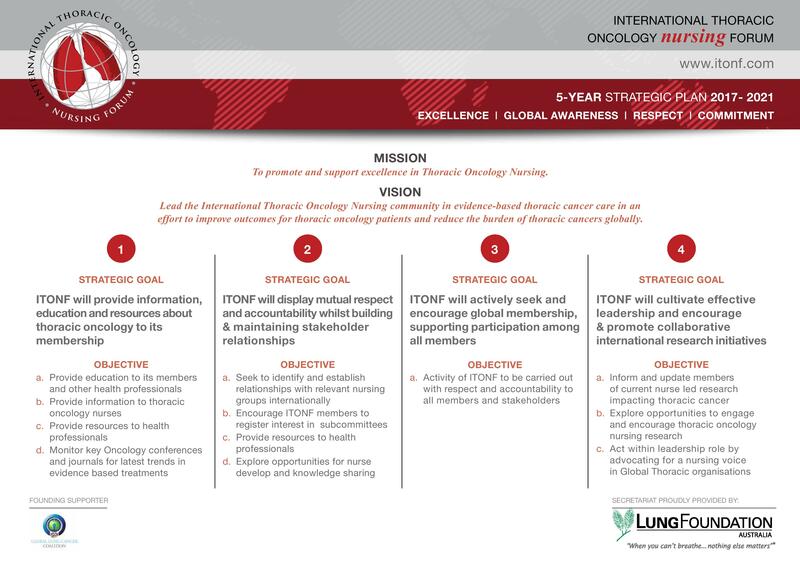 The ITONF Steering Committee has produced a strategic plan for 2017 – 2021 that is focused on delivering against our mission of promoting and supporting excellence in Thoracic Oncology Nursing. 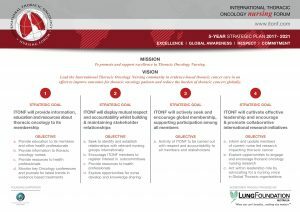 The strategic direction supports the ITONF’s core values of excellence, global awareness, respect and commitment and outlines the key goals that ensure ITONF are delivering on our mission. 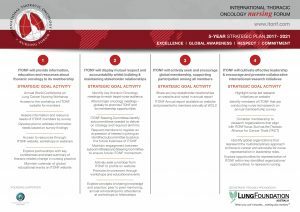 Click here for a printable version of the strategy.